SongKong uses various sources for finding cover art. Its primary source is the cover art provided by MusicBrainz via the Cover Art Archive, but the second most important source is the artwork provided by Discogs. However unfortunately recently Discogs changed the conditions of their API so that it no longer allows access to these images unless you have a Discogs account and authorise SongKong to use that account. 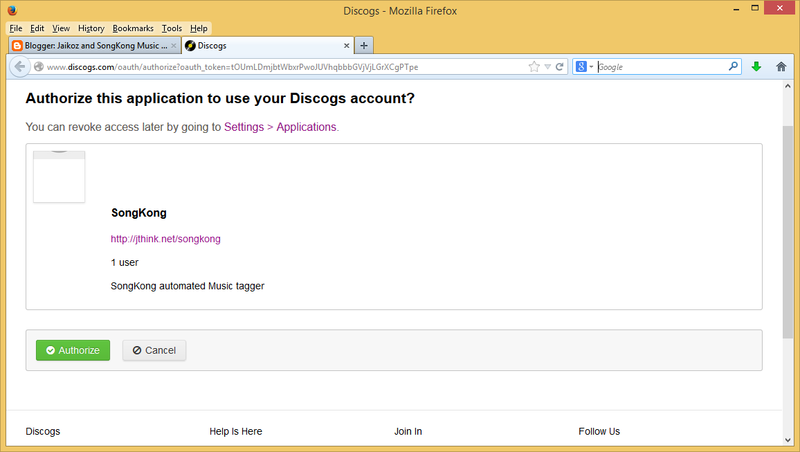 The good news is that Discogs accounts are completely free and straight-forward with no requirement to enter bank card details or sign up for any service so creating a Discogs account if you don't already have one is not such a hardship.The bad news is that Discogs is currently getting overloaded regularly and when this happens access to the API is curtailed, this includes the one-off image authorisation detailed below. So if possible don't try at internet peak times (evening time US timezone) , if it does fail at the first stage just try again. If instead SongKong complains that Image Authorization failed , please try again at a quieter time. 7. And that's it, now if SongKong is unable to get cover art from a MusicBrainz release it can probably get one from a linked Discogs release. 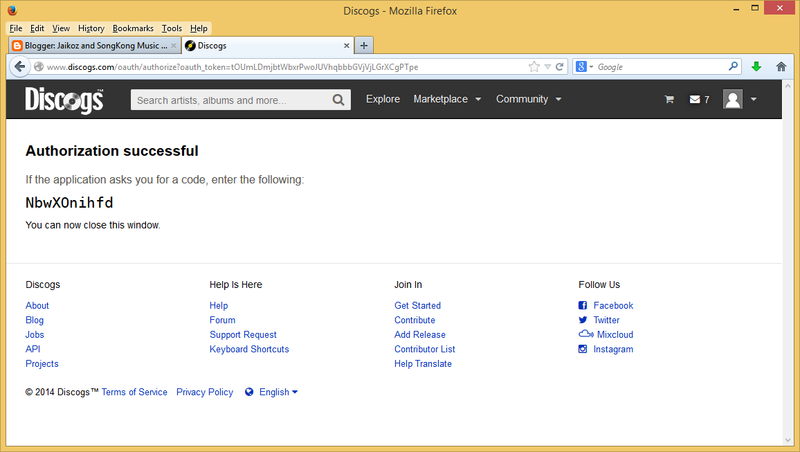 Jaikoz customers, the same Discogs image authorization will be added to Jaikoz within two weeks.